Whether you’re designing a logo, a book cover, or a presentation, fonts are one easy way to quickly create a distinctive look. More and more fonts are becoming available—even in the basic suite Microsoft provides—and you can download more from places like dafont.com or 1001 Free Fonts. Unfortunately, choosing the wrong font can make your graphics look cheap, derivative, or just plain boring. There’s always someone who can take an old look and make it fresh again, but if you’re not confident in being able to do that, there are some fonts you’d better avoid. 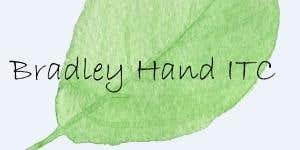 Bradley Hand ITC – Or any other handwriting font. Not only is it overused by people who want to give things a personal look, it also doesn’t scale very well. Because it’s thin and doesn’t have a good bold option, it’s difficult to make the letters stand out, and your graphics can become hard to read. It’s also one of the fonts that come pre-installed with Windows, so most graphic designers will have access to it. It's not hard to see why you should find something a bit more original. 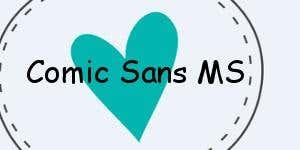 Comic Sans MS – When people are talking about fonts they hate, they’re almost always bound to mention Comic Sans. Beloved of kids and anyone who wants to look relaxed and informal, this font was originally designed for the speech bubbles in comics, based on the lettering style used in comics. This is another font that's available in Windows, and it’s been used so often that not only does it look unprofessional, it’s also boring. 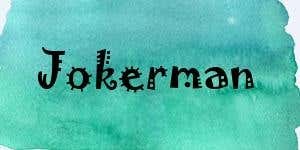 Jokerman – This font is perhaps not used as often as some of the others, but it has serious legibility issues. The little curls and additions make it hard to distinguish the letters, which can cause extra problems for people with poor eyesight or dyslexia. If all you want is a distinctive look, Jokerman might work—but you should avoid designing entire Web pages with this font, or using it for the fine print on a poster. 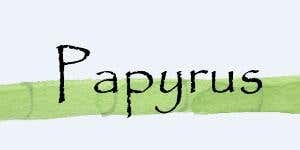 Papyrus – Papyrus has been popular for years because of its sophisticated simplicity. The problem is that, like the other fonts above, it’s available in a standard install of Windows, and almost every designer has access to it. It was used on movie posters and subtitles in James Cameron’s Avatar (2009), and it’s commonly named as one of the most overused fonts in the toolbox. 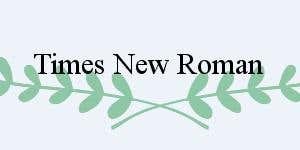 Times New Roman – Times New Roman is a plain font that's generally easy to read. Unfortunately, it has been used as a default font for years, particularly in Microsoft Word, until Calibri became the new face of the Office suite. Originally designed for a newspaper, there’s nothing wrong with it, but it isn’t distinctive, and people often say they find other similar fonts like Georgia more readable and attractive. IMPORTANT NOTE: When you’re picking your font, think about the context. Is it a title or a slogan or something that people will have to take a moment to read? Are they going to see it on a screen or on paper? Should it be a Serif font or not? Don’t pick a font just because you think it’s attractive in general; make sure it fits the purpose and the style of your graphics.